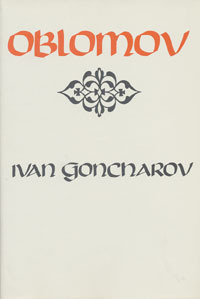 Any list of great Russian novels of the nineteenth century must include Ivan Goncharov's Oblomov, whose protagonist Oblomov became a famous literary character in Russia. The indolent Oblomov, whose servants steal his money and whose friend steals his fiancée, was perceived as the archetype of the lazy, ineffectual civil servant and the embodiment of the slothful landowner. "Oblomovism," a term invented by Oblomov himself, became a byword in the Russia of the 1860s. Now, for the first time in many years, this classic of Russian literature and masterpiece of satire by the famous contemporary of Turgenev and Dostoyevsky is available in a hardcover edition.